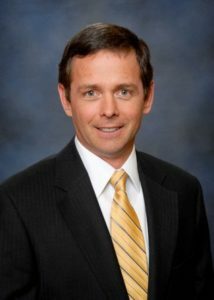 Donald “Corky” Eby leads the real estate practice group for Robinson and Henry, P.C. in Castle Rock. Where he solves problems relating to all facets of real estate, including com- mercial and residential acquisition, financing, development, leases, foreclosure, landlord tenant, eviction, contract issues, HOA disputes, broker representation, zoning and other land use issues. He presents many educational courses throughout the state of Colorado including the Colorado Real Estate Commission’s Annual Update Course, Property Management, and other seminars related to real estate and contracts.